The new 2018/19 children's Manchester United Home kit featur..
Manchester United take a bold stand with the deep navy and m..
For the next generation of game-changers, this children's 20.. 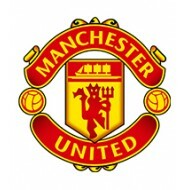 Cheer on the Red Devils through the new season with a chil.. The Manchester United Away Shirt 2016-17 - Kids sees a fresh.. The Manchester United Home Childrens Kit 2016-17 allows fres..
Show your support for Jose Mourinho and this team in this ju..
From the streets to the stands, show your support for Jose M..